SANTO DOMINGO, Dominican Republic – Experts warned Friday that a Dominican court decision to strip citizenship from children of Haitian migrants could cause a human rights crisis, potentially leaving tens of thousands of people stateless, facing mass deportation and discrimination. Officials promised to create a path to Dominican citizenship, but gave no details about how it would work or who would be covered. The ruling by the Constitutional Court is final and gives the electoral commission one year to produce a list of people to be excluded from citizenship. The decision applies to those born after 1929 — a category that overwhelmingly includes descendants of Haitians brought in to work on farms. It appears to affect even their grandchildren, said Wade McMullen, a New York-based attorney at the Robert F. Kennedy Center for Justice & Human Rights. A U.N.-backed study released this year estimated that there are nearly 210,000 Dominican-born people of Haitian descent and roughly another 34,000 born to parents of another nationality. The majority of them don’t have Haitian citizenship, have little or no ties to Haiti and likely don’t speak Creole, he said. Getting Haitian citizenship can be complicated too because it is difficult to comply with requirements to prove descent from a Haitian national. 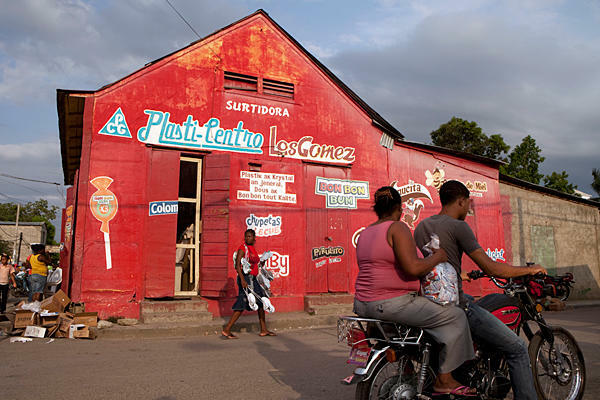 This entry was posted in Diaspora, Dominican Republic, Economy, Film, Government, Haiti, Haitian, History, News by admin. Bookmark the permalink.